Ugadi date based on Hindu calendar in Karnataka, Andhra Pradesh, and Telangana. Ugadi is the New Year (Lunar New Year) for Telugu and Kannada speaking people and it ushers in the spring season. Ugadi 2019 date is April 6. Vikari Nama Samvatsara begins on April 6, 2019. In USA, Canada and UK, it is marked on April 6. In Australia, Malaysia and Singapore it is on April 6. Ugadi (yuga and adi) means beginning of an astronomical cycle. Ugadi is also the first day of Chaitra, the first month of the traditional Hindu calendar followed in Telangana, Andhra Pradesh and Karnataka. Ugadi is also known as Chandramana Ugadi or Chandramana Varsha Thodaku or Vatsara Arambha. Vikari Nama Samvatsara begins from April 6. Shalivahana Saka year - 1941 begins on April 6. Ugadi has its derivation from the word ‘Yugadi’ which consists of two terms ‘Yuga’ and ‘adi,’ which respectively means ‘cycle of time’ and ‘beginning’. A major event on the day is “Panchanga Sravanam” – predictions for the year. It is organized at temples and by cultural and social organizations. Ugadi Pachadi which is distributed on the day is a unique dish with a mixture of six tastes ranging from sweet to bitter. It comprises of jaggery, raw mango, tamarind, neem flowers, salt and green chilli. This is the first dish that people have on Ugadi day. Ugadi Pachadi has an important symbolic meaning that life brings different experiences ranging from sweet to bitter. Therefore each individual should learn to take the different experiences in one's stride and move ahead. Instead of the Ugadi Pachadi, in some places people serve jaggery mixed with neem leaves. The bitter taste of neem leaves and the sweet of jaggery symbolize joy and sorrow in life. This is more popular with Kannadigas. 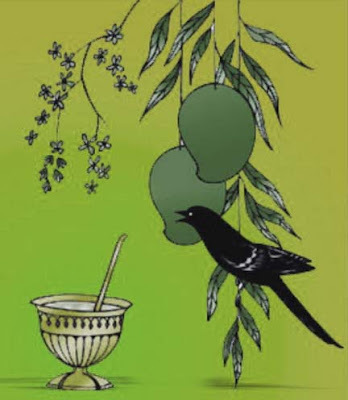 Ugadi marks the beginning of spring or the Vasant Ritu. Farmers wait for the first showers after the New Year to plough and begin the next cycle of farming. The festival celebrates nature’s regeneration. All trees begin to sprout tender leaves. The markets are flooded with different types of fruits. And most importantly Neem trees begin to blossom. Ugadi is also considered to be the ideal time to start new ventures. House warming, starting of construction of new houses, important documents are signed, purchases are made on the day. The day symbolizes hope. A day to start afresh. To forget all the bad of the previous year. Koil Alwar Thirumanjanam, Ugadi Asthanam, Panchanga Sravanam are some of the important rituals associated with Ugadi at Tirumala Temple (Read more about Ugadi festival in Tirupati). Maharashtrians celebrate Gudi Padwa on the day (this year it is on April 6, 2019). 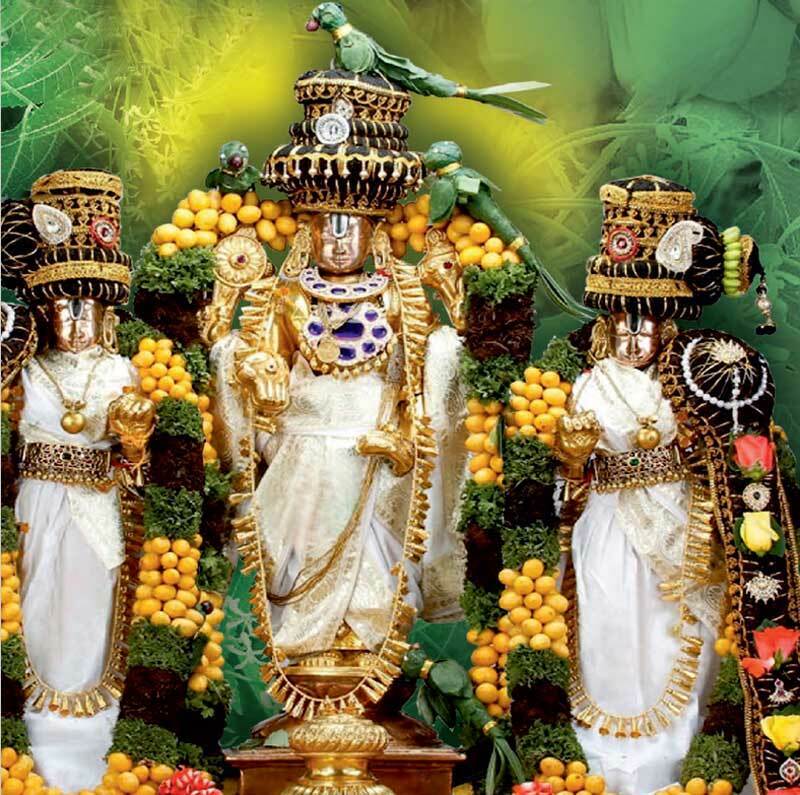 You can find details about various Ugadi Panchangam - 2019 - 2020 here. How to observe or celebrate Ugadi? How to prepare Ugadi Pachadi?